Vermont Landlord Forms are essential for every landlord of Vermont rental properties, whether you are a landlord of one or one-hundred rental properties. Vermont landlord forms are crucial to have on hand at all times to help provide you with the forms you need when you need them, each and every time that you need a particular Vermont landlord form. The Residential Lease is the most important of the Vermont Landlord Forms since it provides details and terms of the rental agreement. The rights and responsibilities of the landlord and the tenant as included in the residential lease can help prove your case should the tenancy go bad and you have to file eviction or other violations of the lease later. During the course of the tenancy you may need to enter the property to make repairs or to inspect the premises. It is imperative that you do so in good faith and not in a manner that violates tenant rights. When you provide your tenant with the Notice of Entry, you have documentation that you gave your tenant the required minimum of 48 hour notice of your intent to enter the premises. Prior to the tenant moving in and again after the tenant has moved out, it is crucial to conduct the Move In/Move Out Checklist. Unless you and your tenant each make written note of the condition of the property prior to moving in and again after the tenant vacates the premises and removes all belongings, the condition of the property at any time during and after the tenancy becomes a he said/she said situation. Including the move in/move out checklist with your Vermont Landlord Forms gives you documentation of the tenant’s agreement to the condition of the property before moving in and again at the end of the tenancy. If you file a claim for damages against the tenant, you have proof regarding the condition of your rental property by showing that the tenant signed this Vermont Landlord Form. You can also prove the tenant agreed to the condition of the property if the tenant alleges you wrongly withheld part or all of the security deposit for damages caused by the tenant. To further help secure the obligation of a tenant to pay rent and take care of the property, Vermont permits landlords to charge a security deposit, refundable at termination of the tenancy. The State of Vermont also permits landlords to withhold a portion of the security deposit to recover the costs related to any unpaid rent, damage to the premises, non-payment of utilities and the costs related to removal of tenant’s property from the premises. Including the Disposition of Security Deposit with your Vermont Landlord Forms helps you provide proper notice to the previous tenant if part or all of the security deposit is retained and why. Unfortunately all tenancies simply do not work out. If a tenant does not pay rent when due, the Past Due Rent notice will inform the tenant that rent is past due and make demand for payment of the rent. The Notice to Pay Rent or Quit is crucial to include when you order your Vermont Landlord Forms so that you can provide proper legal notice to a tenant before commencing an action to recover the property. The Notice of Termination of Tenancy complies with Vermont Residential Rental Agreement laws regarding giving your tenant notice of the date that the tenancy ends. 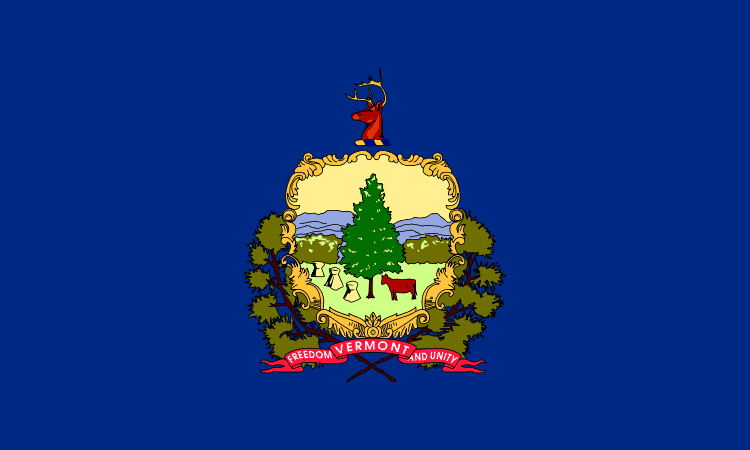 While these Vermont Landlord Forms are likely the most common, there are other Vermont Landlord Forms that are often crucial for you to have on hand at all times. The American Apartment Owners Association provides you with all your essential Vermont Landlord Forms quickly and easily. As the trusted name in providing Vermont Landlord Forms, the AAOA always provides landlords with high quality forms, created by attorneys and industry experts. Protect your investment in your rental properties by always having the right form at the right time with your Vermont Landlord Forms. The American Apartment Owners Association provides landlord forms nationwide. Looking for a state other than Vermont?